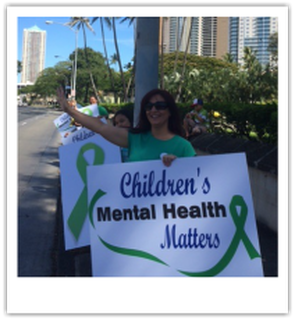 Welcome to Hawaii Families As Allies! 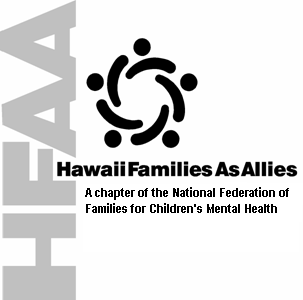 HFAA is home to the first Certified Parent Support Providers (CPSP) in the State of Hawaii. 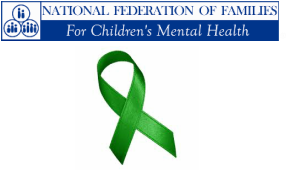 We are the Statewide Chapter of the National Federation of Families for Children's Mental Health, a national organization of families dedicated to moving systems service change forward. If your child seems emotionally or behaviorally 'different'...we can HELP! Our PSP's are highly qualified - using their unique 'lived experience' to work with families and connect them to the help and resources they need. We support families best, because we understand - we're Parents too! Support Groups & Workshops offered will be updated shortly - please check back for details!! HFAA is here to help support families along their journey. Contact us today at (808) 682-1511 or email us at events@hfaa.net to find out more!